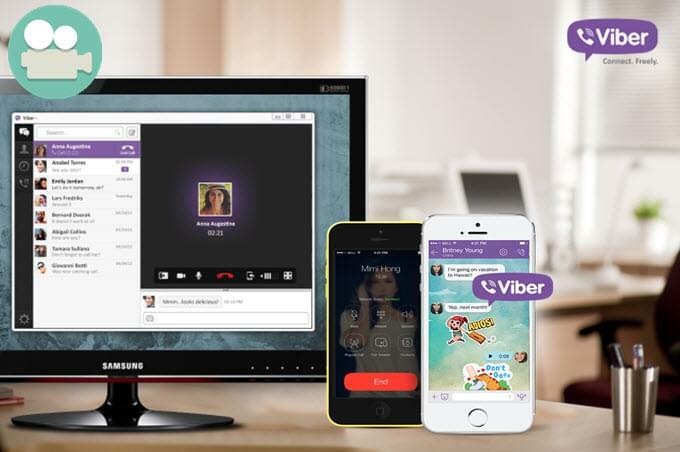 Viber now is an instant messaging and VoIP app widely used by many users. As long as users offer the phone number as the account, they can send and exchange instant messages together with various audio, video and image media, etc. Via its great feature of video call, a great amount of people can communicate with others for various purposes such as presentations, demos, tutorials, teamwork and business talk. 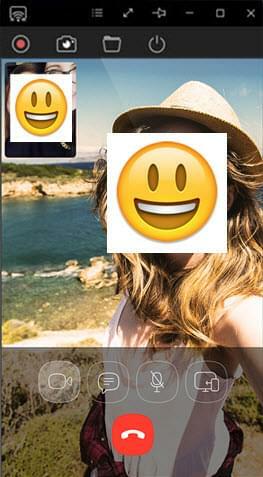 Whilst many users desire to record Viber video call and save it for later use. Considering that Viber does not contain the recording feature itself, here I would like to introduce several feasible tools which can be utilized on computer and mobile phones respectively. As a matter of fact, a great number of users are still accustomed to launching Viber on their Windows or Mac OS. In that case, I highly advise the screen recording application provided by ShowMore website. It is a light online tool that can run smoothly on both Windows and Mac OS. With this tool, user can easily record a specific region or the whole screen of computer. Web camera is supported for recording, too. 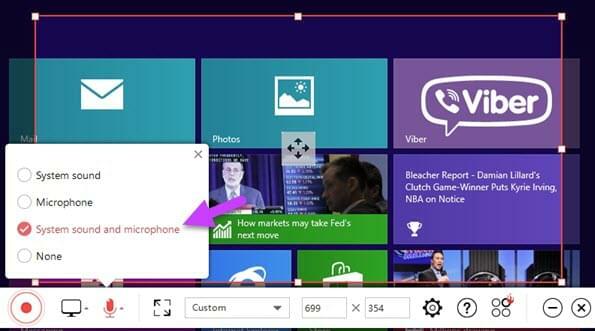 Audio track from system and microphone can be added to the video simultaneously. So during video call recording, the conversation of both narrators can be captured without any loss. On seeing its user interface, find options menu and configure some necessary settings like hotkeys and output format. And you can choose audio input as system sound and microphone. Open Viber application and start a video call. Adjust the recording area and get ready. Simply click on “REC” button and it will start recording instantly. When you want to finish recording, click pause button at the same location and tick the icon to go ahead. Check the recorded video and choose to save as video file. There are 7 video formats and GIF for you to choose. Once done, you can find your video in the designated folder. 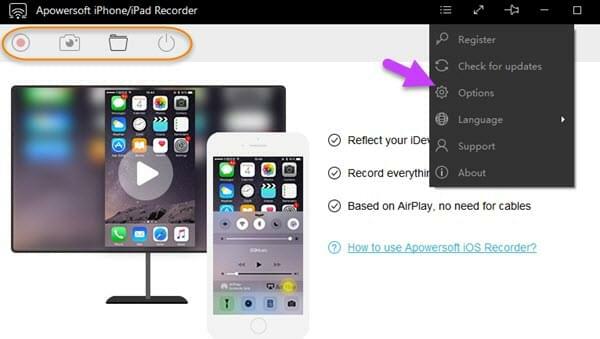 For iPhone/iPad users who wonder how to record Viber video call on their portable devices, Apowersoft iPhone/iPad Recorder is absolutely meriting attention. It is not only capable of capturing any screen activity from iOS devices but also casting it to the computer monitor at the same time. User can choose different video quality and output formats according to their need. Plus, it also covers a feature of screenshot. During recording process, user can also save some interesting images and then share with friends later. To know how it works, here are the detailed steps. Just click the download button below and install it on your PC. Launch the program and preset necessary settings such as video quality, output format, etc. Open up the control center of your iPhone/iPad and press on “Airplay” tab. Tickle an item with your computer’s name on it, and then switch on mirroring option. Find Viber app and start a video call with your friend, click on the red recording button and it will start capturing immediately. To finish recording, click stop button and video will pop out soon. Recording a video call from Viber on Android is much easier since multiple screen recorders are easy to access on the Google Play Store. Concerning how to record Viber video call, here I just introduce some feasible apps thought highly by most users. Apowersoft also releases a recorder which can be utilized for capturing screen of any Android smartphones. Users can record video call, app interface, game play clips and many more different actions via using this screen recorder. About video call recording, operation can be very easy. Just preset the related options and simply click one button for recording. Video can be saved in nice quality with synchronized sound track together. Now, it is compatible with Android 5.0 and higher versions. Besides all features mentioned above, it enables users to take fantastic screenshots freely. Moreover, user can take control of this tool easier by accessing overlay icon. No ads, no payment, no root requirement, it is absolutely a safe and reliable app appreciated by many users. 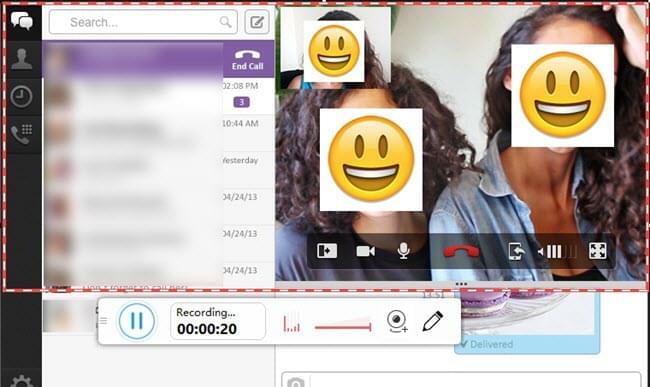 Another decent Viber video call recorder is Mobizen. It is available on Android platform and runs smoothly on 4.0 version and later. This tool has attracted many users due to its useful features of recording video, taking screenshot and other extra functions. While using this recorder, you are able to select audio sources and adjust framerate, bitrate and other specifications. The only thing that needs improvement is that it will ask users to register first or the video will be watermarked at the bottom instead. Those aforementioned are the best solutions upon how to record Viber video call on multiple platforms, so no matter for what devices, there is always one way suits you best. No more talks here, just get the tool and record your favorite funny moments on Viber.